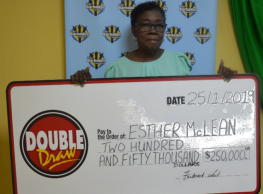 Bridgetown, Barbados - Friday, January 18, 2019: The Barbados Lottery is pleased to announce that two lucky players have secured over $275,000 in winnings, playing the Double Draw Mega Ball Promotion and Double Draw games. Andrea Greenidge was more than happy to collect a total of $175,007 on behalf of her partner, who won not once but twice. The 44-year-old father of two won $150,000 from a Spot 6 in the Double Draw with the Mega Ball and $25,007 from a Spot 6 in the Double Draw base game. He is a regular player who commits to playing the same numbers every draw. He shared that he has been playing these numbers for over 10 years and this is not his first-time reaping rewards. The long-time lottery player explained that he usually gets back what he pays out each week. This time, he won from two tickets bought using the same numbers. The win has not sunk in yet for this lucky player, but he has no doubt that this will make a big difference in his life. His major plans include paying off his debts and looking after his family. The committed Barbados Lottery player encourages his fellow players to keep playing and trust that the numbers will play. “Someday they will play for you, no matter how long it takes,” he said. He will certainly continue playing with the same lucky numbers. William Yearwood is also a long-time lottery player. His favourite game is Barbados Lottery’s Double Draw. 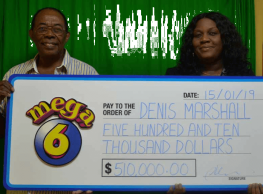 He purchased his winning ticket at Che Mart using the quick pick method and won $100,000 from the Double Draw Mega Ball promotion. 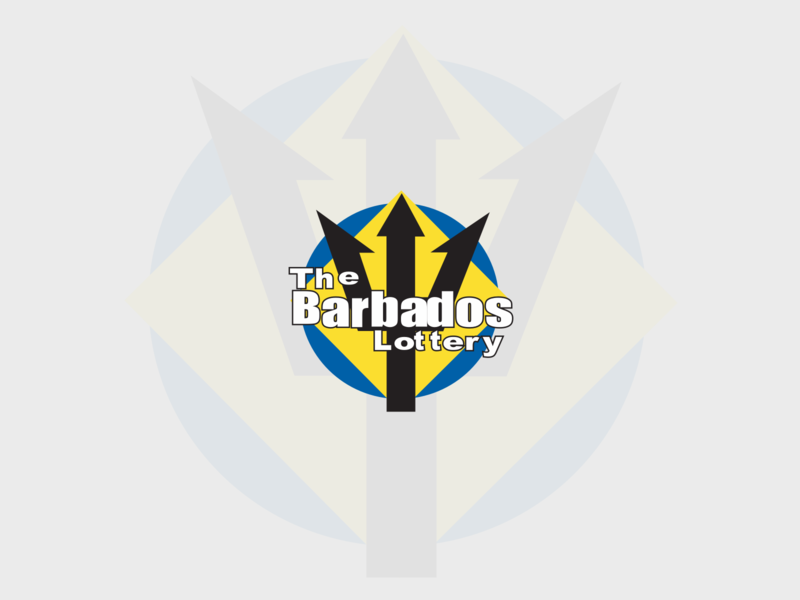 When asked what advice he would give to Barbados Lottery players, Yearwood told them to keep playing: “Continue playing, you may get lucky.” Yearwood has no doubt that he will continue playing the game he loves.